Princess Ann (Audrey Hepburn in her first starring role) of some unnamed kingdom is touring the capitals of Europe on a goodwill tour and has landed in Rome, her last stop. Young, bored with her grueling daily schedule, and rebellious against her keepers, the Princess throws a fit of pique at her bedtime and is given a shot of sedative to help her sleep. Before the shot can take effect, however, she quickly dresses and sneaks out of the embassy in the back of a service truck. As she wanders the streets of Rome alone, she falls asleep on a public bench. Foreign correspondent Joe Bradley (Gregory Peck), after losing badly in a poker game with his pal, photographer Irving Radovich (Eddie Albert) and other reporters, heads home, but spots Ann sleeping on her bench. Concerned for the girl’s welfare, he tries to wake her up and put her in a taxi, but she can’t function without him, so he brings her back to his tiny apartment and lets her sleep on his ottoman. The next afternoon, while she’s still sleeping, he goes into his office, sure that he’ll get in trouble for missing the Princess’s press conference. Not knowing that the meeting has been canceled due to a royal “illness,” he tries to convince his boss, Mr. Hennessy (Hartley Power), that he has interviewed her and narrowly avoids getting fired over his lie. However, when he sees a picture of the Princess in the paper, he realizes that she’s the girl in his apartment and he may be able to get a terrific story out of it. Hiding his identity from Ann, Joe plays the part of an innocent American businessman on holiday and she makes up the name Smith (Smitty) so that he won’t think she’s a princess. In this regard, he takes unfair advantage of her. While he knows who she is, she has no idea that he’s a reporter trying to get a story. He proposes that they spend the day doing all of the things she’s always wanted to do. He ropes Irving into coming along for most of the day to take pictures of her using his cigarette lighter camera. Ann gets a haircut, eats at a sidewalk café, goes riding on a scooter with Joe, and goes dancing on a boat, all liberating her in ways she’d never imagined. As Joe gets his story, he begins to fall in love with her and she with him. Part of the movie’s strong appeal when it was released was that England–indeed, the whole world–was then currently enthralled in Princess Margaret’s love affair with a commoner, Peter Townsend. 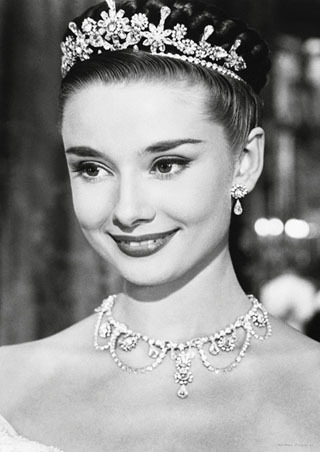 The other part almost exclusively relates to Audrey Hepburn’s stunning debut. Although she had appeared on Broadway, acclaimed in performing the title role in Gigi, she was virtually unknown in the world of film and took the industry by storm with her performance in Roman Holiday. Under William Wyler’s expert direction, her performance is restrained and vulnerable, yet one never doubts that she is absolutely extraordinary, a real princess, and a true beauty. Among the awards she received was the Academy Award, the Golden Globe, the BAFTA, and the New York Film Critics Circle Award, all for Best Actress. She was aided by Edith Head’s amazing costumes, which also earned an Oscar. Gregory Peck and Eddie Albert are perfect in their roles, too. Peck brings a calmness and dignity to the hard-nosed reporter that elevates the role far beyond what it might have been and he is the perfect foil for Hepburn. They have a chemistry that is truly magnetic. Albert is almost unrecognizable as Irving. With a beard and full head of hair, he adds a Bohemian element to the role that really makes him seem a natural part of the European scene. The script was written by John Dighton and the great film screenwriter Dalton Trumbo, but because he was blacklisted for refusing to cooperate with the House Un-American Activities Committee, Trumbo did not receive credit for his writing. Instead, author Ian McLellan Hunter was listed on the credits and was nominated, along with Dighton for the Academy Award for Best Screenplay. The pair actually won the Writers Guild of America Award for Best Written American Comedy, but Hunter’s award was later transferred to Trumbo’s widow Cleo in 1993. William Wyler’s direction is superb. He decided to shoot the film in black and white, even though color in vogue in 1953 and, in retrospect, it was a great decision. The beauty of Audrey Hepburn is truly shown to great advantage, as is the chiseled manly face Gregory Peck. The third major star of the film is Rome itself. Wyler decided to shoot the film entirely on location, a notion that Hollywood shunned at the time, preferring to shoot all their films on the back lots of the studios, using rear projection of world-famous landscapes and buildings. 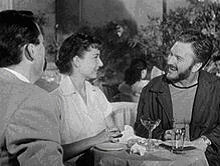 In Roman Holiday, again, the black and white film loves the city in its pre-gaudy, non-Felliniesque gray tones. The coliseum, the churches, the plazas, sidewalk cafés and little scooters running around everywhere gives the movie a truly authentic aura that meshes so well with Hepburn and Peck’s performances. The DVD includes a terrific documentary, “Remembering Roman Holiday,” the featurettes “Restoring Roman Holiday” and “Edith Head – The Paramount Years,” plus photo galleries and some really interesting trailers, including Audrey Hepburn’s interview following her screen test and her modeling some of Edith Head’s costumes. Funny, beautiful, frolicsome, Roman Holiday remains one of the great classic love stories of all time and should be seen by everyone–should, in fact, be a part of everyone’s film collection.